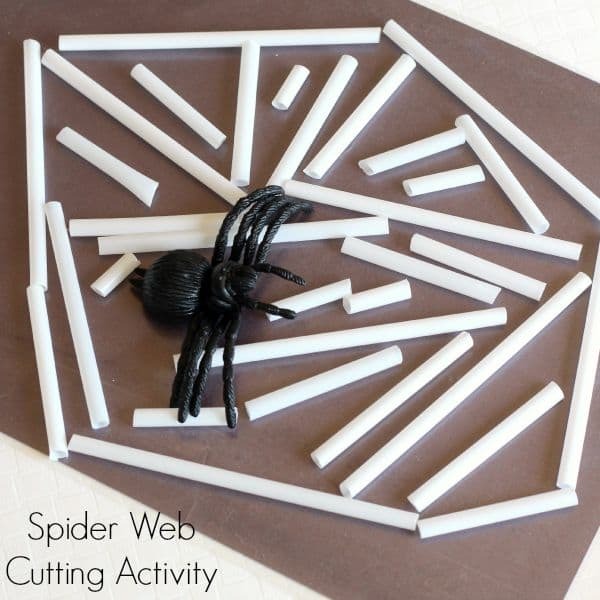 This spider web cutting activity is an excellent way to develop fine motor skills and scissor skills this fall! 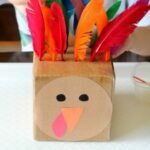 It’s also a neat craft to hang up and use a decoration. 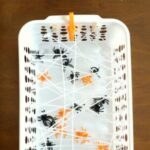 Lately, we’ve been doing lots cutting practice and Evan loves cutting straws, so I decided to create a cool spider web cutting tray for him. He loves bugs, so he was very motivated to do the activity. I decided to use contact paper as a sticky surface he could build his web on. This means that the spider web can be repositioned over and over. 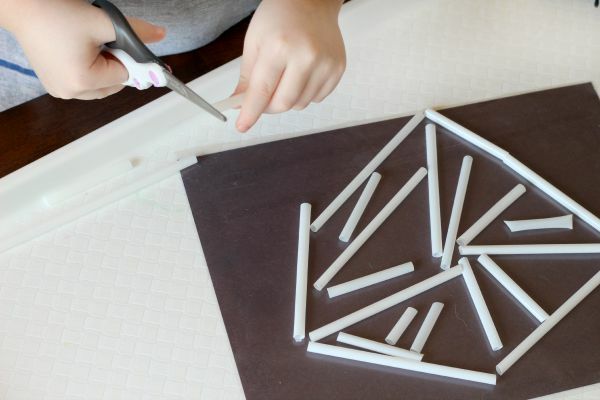 The straws can be peeled off and another web can be built. 1. 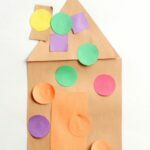 Cut a piece of contact paper to the size of a black sheet of construction paper. 2. Gently peel the backing off the contact paper. 3. 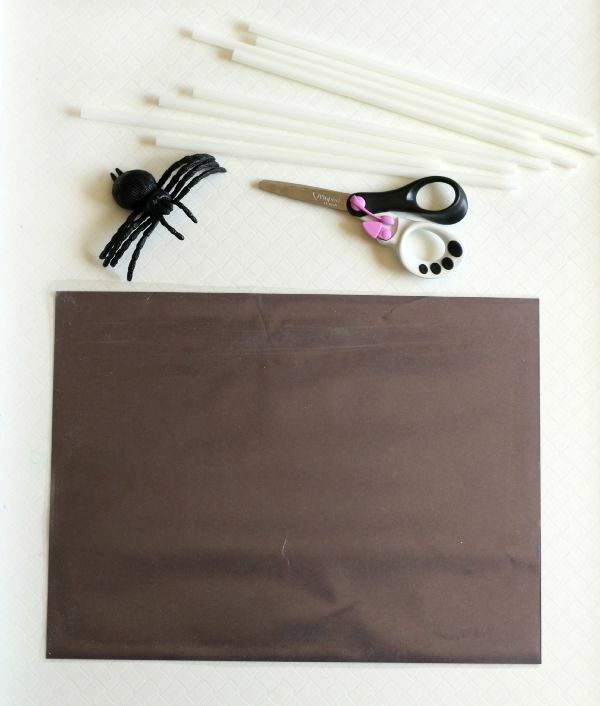 Tape the contact paper to the black paper at the corners. I used this adhesive roller to stick the contact paper to the black paper. 4. 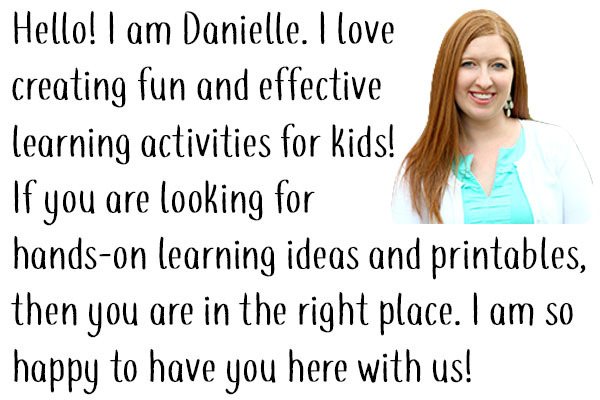 Lay out the sticky paper, straws, and scissors. I also included a spider toy. 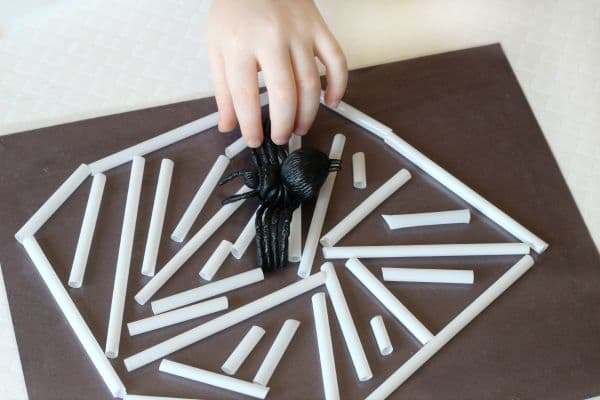 I invited Evan to cut up the straws and use them to make a spider web on the sticky paper. He thought it was a great idea and got right to work. 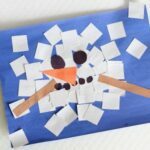 He started by cutting a few straws and placed them all over on the contact paper. 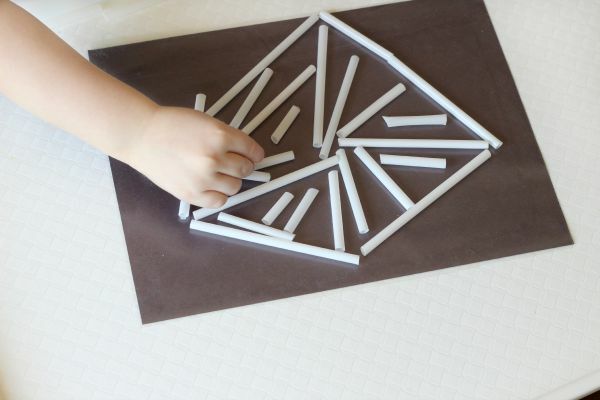 Eventually, he realized that he wanted to move the straws into a hexagon type shape to make it more web like. 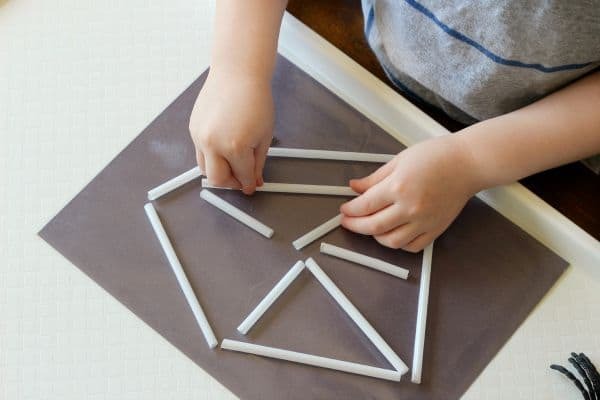 He cut more straws and added them to the inside of the shape. When a straw didn’t fit where he wanted it to, he would cut it smaller to make it fit. 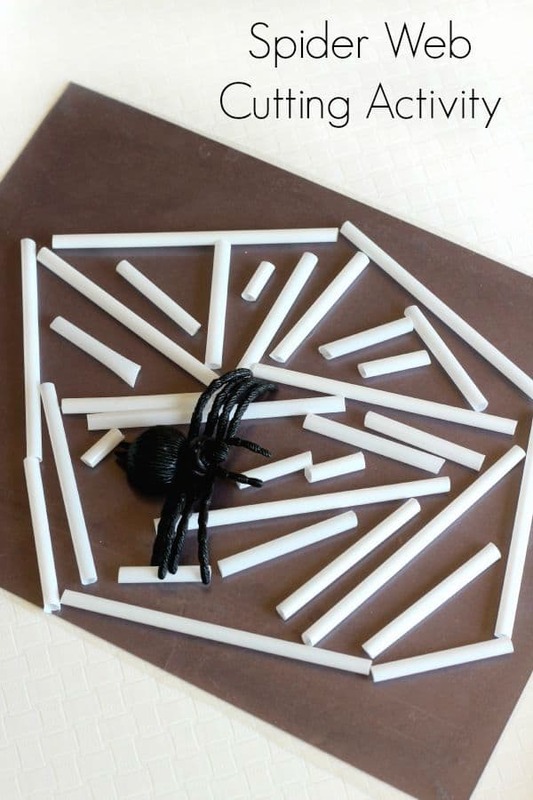 In the end, he made a really cool straw spider web! He even added a spider toy we had to the sticky web. I like that he can go make and make a different web if he wants. 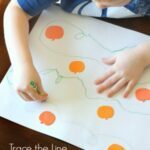 We are even going to give my toddler a chance to play with the straws on the sticky paper. 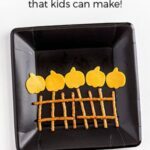 Here are some related activities I think you will enjoy!